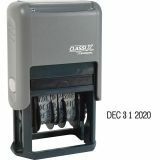 Lightweight and self-inking—perfect for fast, repetitive use. 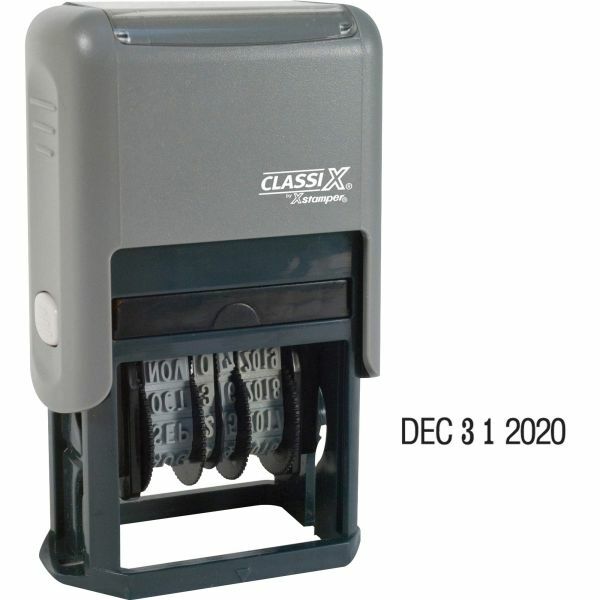 Xstamper Economy Self-Inking 4-Year Dater - Plastic Self-Inking 4-Year Dater is engineered with precision components for a smooth, quiet operation. Deeply molded bands produce sharp, clean impressions every time. Handle is made from hard plastic and is perfect for fast, repetitive use. Prints month, day and year. Also prints four phrases instead of the year; P.M., ENT'D, ANS'D, or REC'D. 1.5 type size and black ink.